Camouflage T-Shirts come in many different forms. They can come as a regular plain Woodland Tee or they can come as a Woodland Sleeveless Tee. There are Sleeveless T-Shirts and there are Tank Tops. 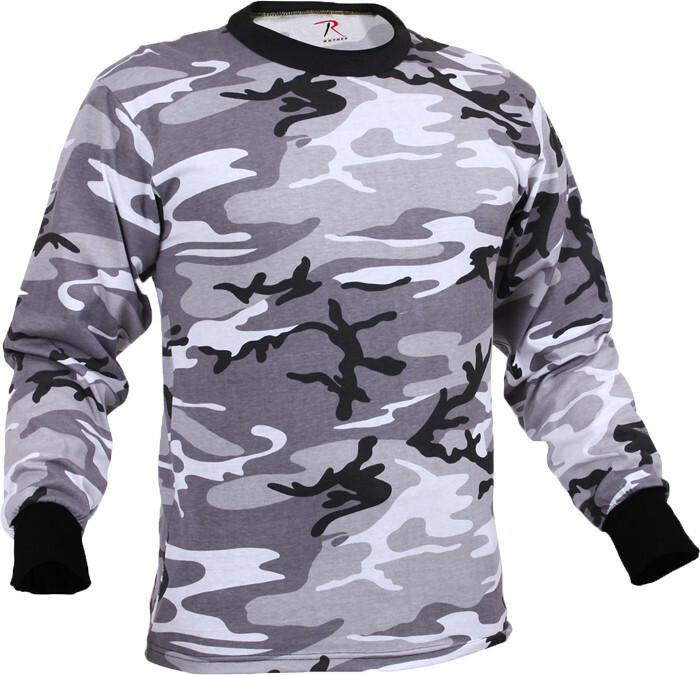 Men's Camouflage T-Shirts are used in everyday life. They can be used as an undershirt or they can be used as a Customized T-Shirt to show off a design. T-Shirts are worn in the Military as well. Under every uniform there is a plain T-Shirt and the color depends on the uniform that is worn. T-Shirts are just comfortable. They are usually made from Polyester/Cotton or just 100% Cotton. 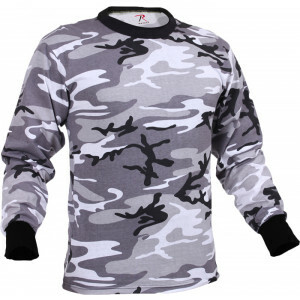 We sell tons of different types of Camouflage T-Shirts and many different colors and designs. We sell Men's & Women's Shorts that match in color and design as well. Chest 17.5" 18.5" 19" 21" 23" 25" 27" 28" 29"
Length 24" 26" 28.25" 29" 30" 30.75" 32.25" 33.25" 35"
Sleeve Length 24.375" 25.25" 25.5" 26" 26.25" 26.75" 26.875 " 27" 27.5"
Chestmeasurements are from under armpit from right to left, front side only.Length is from shoulders down. This is a generic size chart, it doesnot mean all products are available in these sizes. All measurements aredone in inches.